Friday Night Fish Fry Join us every Friday night for our all you can eat beer battered cod. This Fish Fry is just $13.99! Come on in or call for reservations 480-488-1906. Also on Friday, Make sure to be ready to kick up your feet for FREE line dancing lessons at 7:30 pm and Live music at 9:00 pm. Harold's is where you want to be on a Friday night!!! 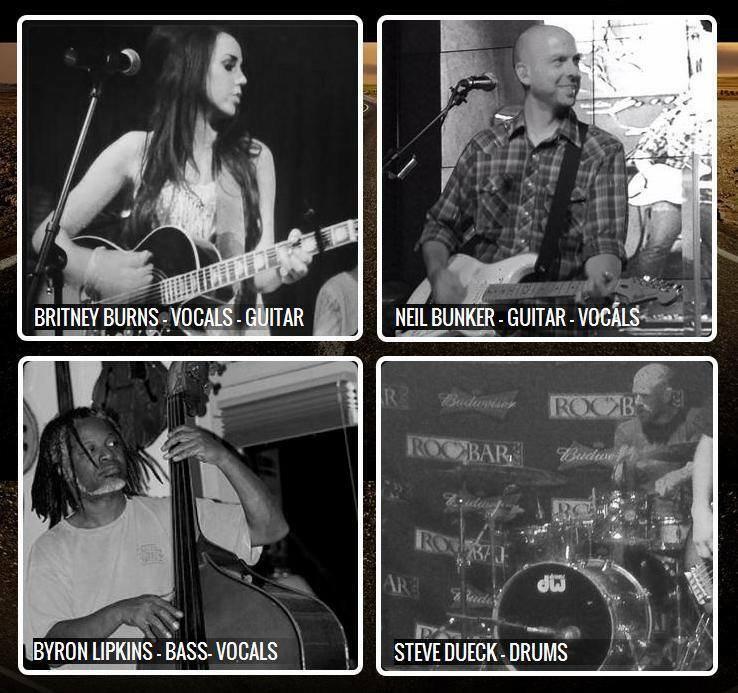 AZ Blacktop hits the stage Friday, April 19th & Saturday, April 20th From 9pm-1:30am both nights! Let’s get boot scootin’ Call 480-488-1906 for reservations on the dance floor! 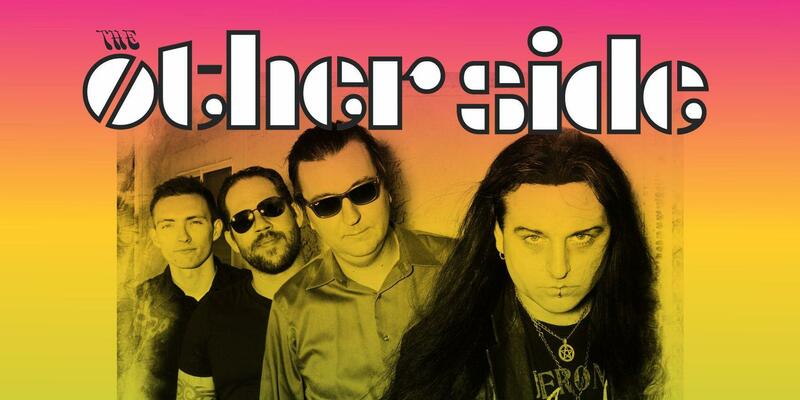 E A S T E R S U N D A Y ! Harold's Original Breakfast Buffet from 8am-11am! Includes French Toast, Biscuits & Gravy, Eggs, Bacon, Sausage, and More! 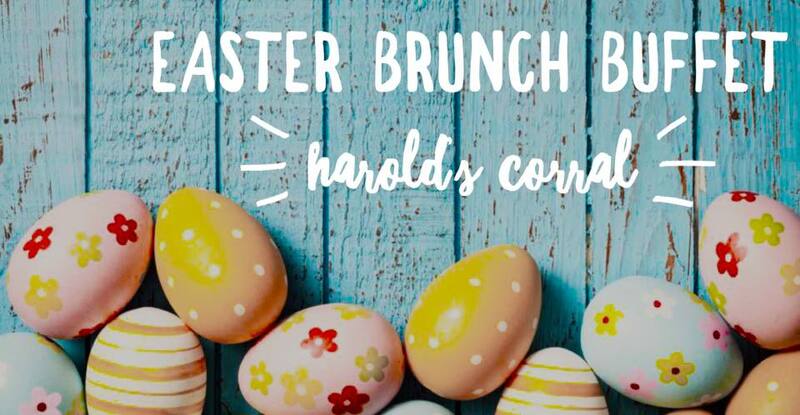 Adults: $14.99 / Kids (10 & Under): $9.99 Easter Brunch Buffet from 11am-2pm! Includes everything from the Original Breakfast Buffet PLUS a carving station! 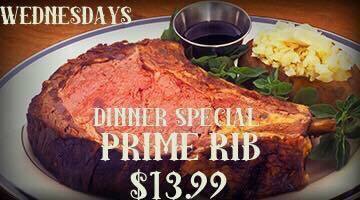 Prime Rib, Smoked Salmon, Bone in Ham, and More! Adults: $27.99 / Kids (10 & Under): $16.99 BLOODY MARY BAR! LIVE MUSIC FROM 12PM-4PM! 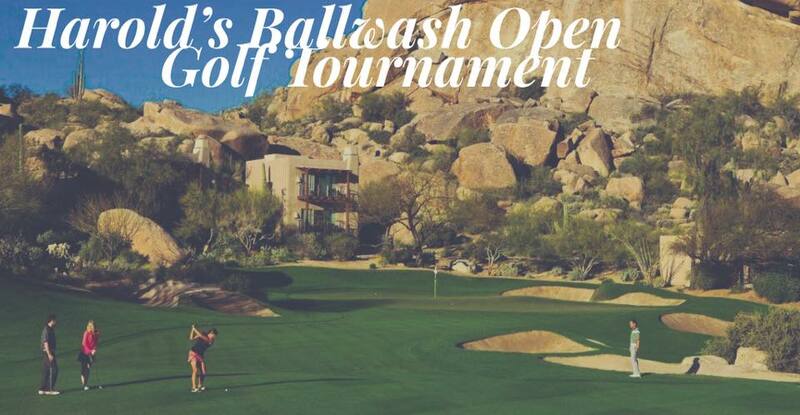 Call 480-488-1906 to make reservations! 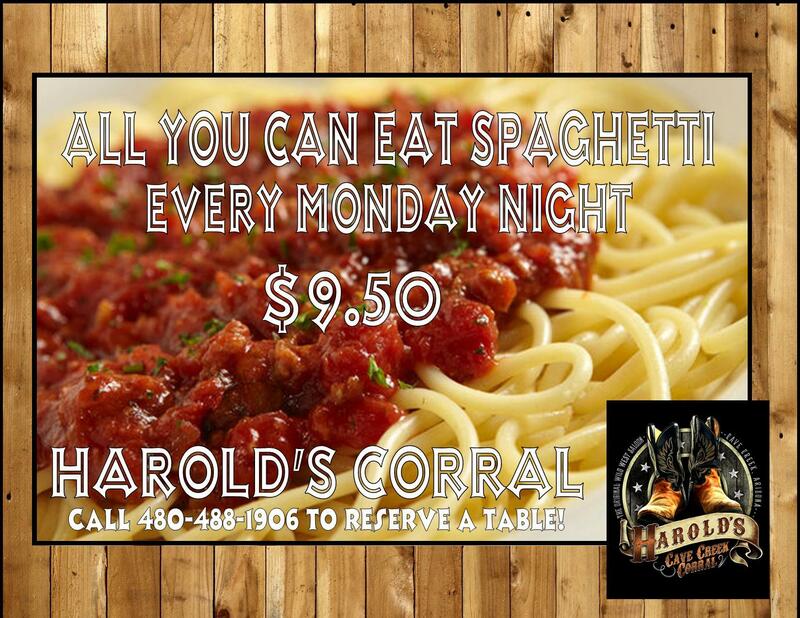 Join us every Monday for All You Can Eat Spaghetti! Only $9.50! Call us at 480-488-1906 to make reservations! 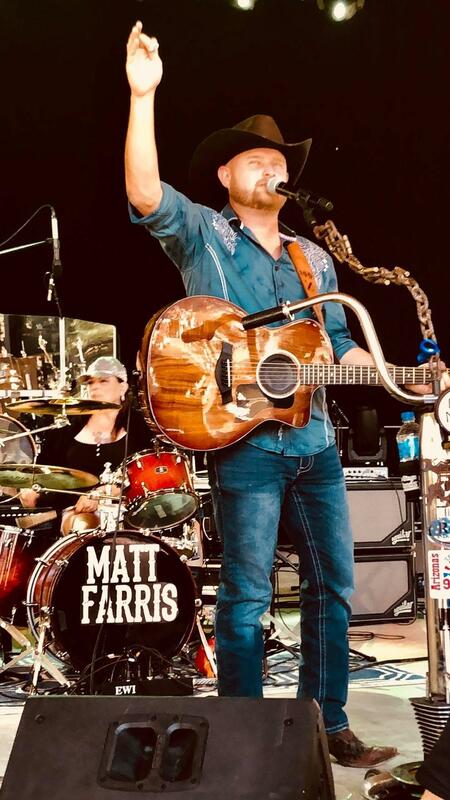 Matt Farris hits the stage Friday, April 26th & Saturday, April 27th From 9pm-1:30am both nights! Let’s get boot scootin’ Call 480-488-1906 for reservations on the dance floor! PLACE YOUR BETS HERE! 145th Run for the Roses! 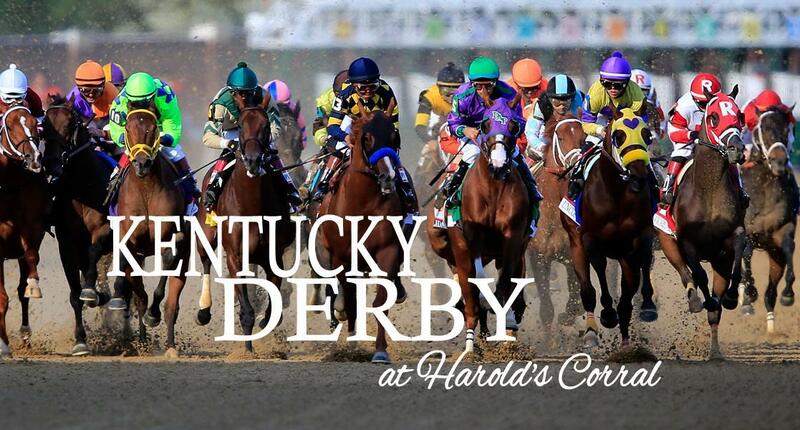 Saturday, May 4th, 2019 OTB opens at 9am for early bets! OTB will remain open all day with a second betting booth! LOSING TICKET RAFFLE! Place your losing tickets in the buckets on stage or at the host stand for a chance to win some prizes! Drawings every hour, on the hour! Drink Specials: Woodford Reserve Julip Finlandia Derby Mule Pints of Blue Moon & Specialty Cocktails! Hats will be available for purchase with donations going to Triple R Horse Rescue! Make your reservations by calling 480-488-1906! M O T H E R ' S D A Y 2 0 1 9 Sunday, May 12th The Original Breakfast Buffet: - French Toast - Biscuits & Gravy - Bacon - Sausage - Eggs Benedict & More! Mother's Day Brunch: - Includes Everything From The Breakfast Buffet - Carving Station - Prime Rib - Bone-in Ham - Smoked Salmon - Quiche - Oysters & More! ALL MOTHER'S RECEIVE A CARNATION & A GLASS OF CHAMPAGNE! 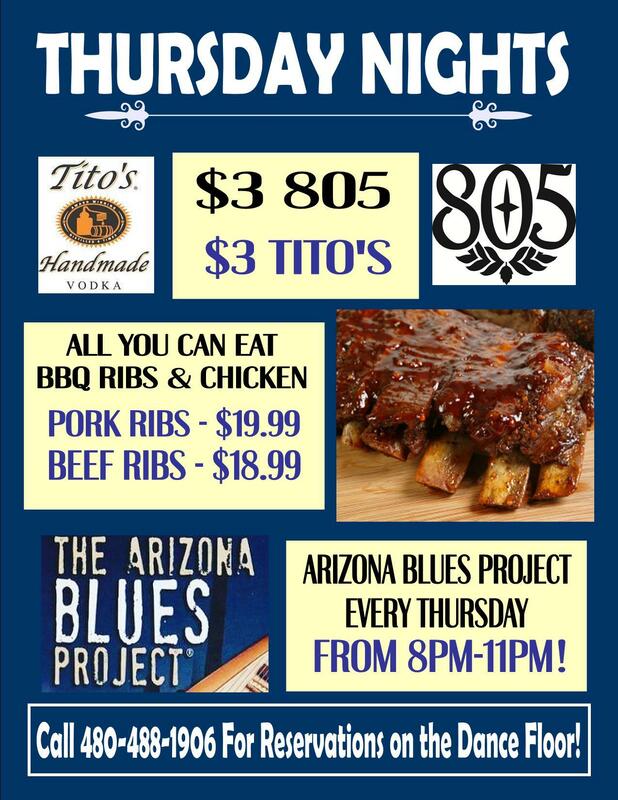 Live Music from 6pm-9pm Call 480-488-1906 to make reservations!